Everyone dreads snakes, YEAH! Even I! But not until I came across this. It's a night mare if you see yourself falling victim to a snake bite, not to talk about reality. But snakes are not actually that deadly, except you can't treat them, but you must know how to, because you might need it to save a life sometime, whether yours or another. 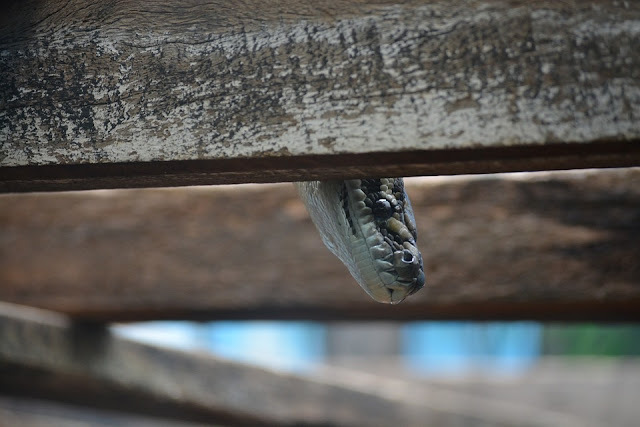 What Is The Cure For Snake Bite? How Do I Treat A Snake Bite? 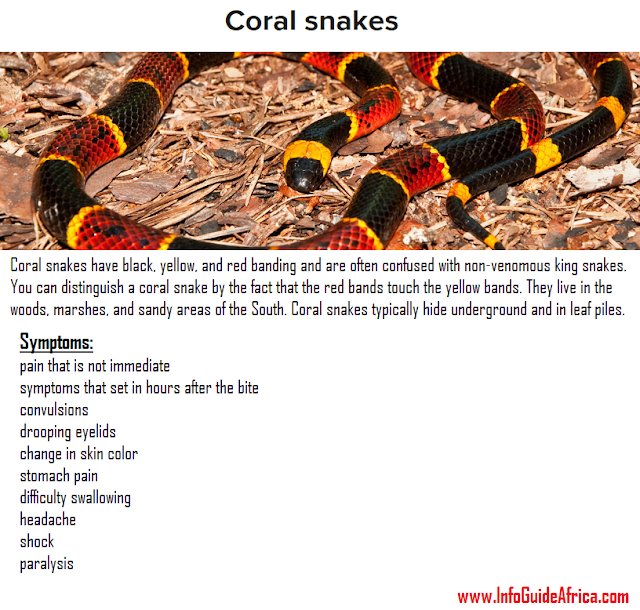 Now to start with, do you know that about 7,000 cases of venomous snake bites are reported every year in the United States alone, talk more of our Africa, and Asia, where there are more unguarded bushes. Even the non-venomous ones can be harmful to us, causing some major skin reactions and allergy, so we have to know what we'll do to educate ourselves to the optimum in ensuring that we are not victims of these circumstances. To begin, the first step is to stop movement in the affected area, here by stopping the flow of blood there. Then we clean the wound and also ensure to remain as calm as possible. It is also necessary to visit a clinic or any other close by medical facility, especially if you don't have any medications for it at home or your present location. 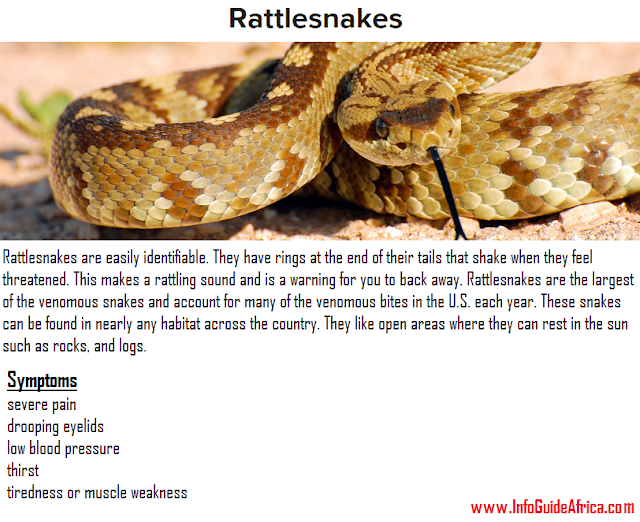 How Can I Know Poisonous Snakes? I strongly emphasize that if you can't differentiate these two types of snakes, take all to be the venomous ones. In the USA, excluding the coral snake, all other venomous snakes are pit vipers. These are differentiated by a slight depression between the nostrils and the eyes. Also, take note that almost all venomous snakes have a triangular head, but not all triangular headed snakes are venomous. 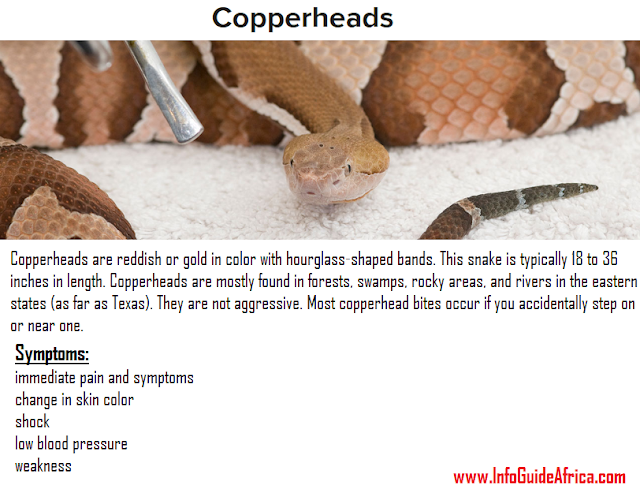 How Can You Identify A Snake's Bite? 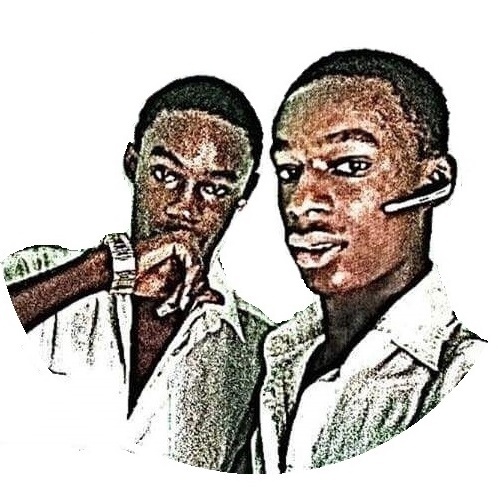 - If you're in a part of the world, especially the Western where 911 and 112 function as the emergency numbers, it should be your first option, but here in Africa we are yet have access to such. - Take note of the time you got the snake bite, and begin treatment swiftly. - Keep calm and immobilize your body. Never let the victim walk around. - Take a picture of the snake but avoid the temptation of wasting your time trying to hunt it down. -Take the victim to a medical resource center. - cut into the snake bite and press out the poison. - then you seek immediate medical attention. What Are The Treatments For Snake Bite? 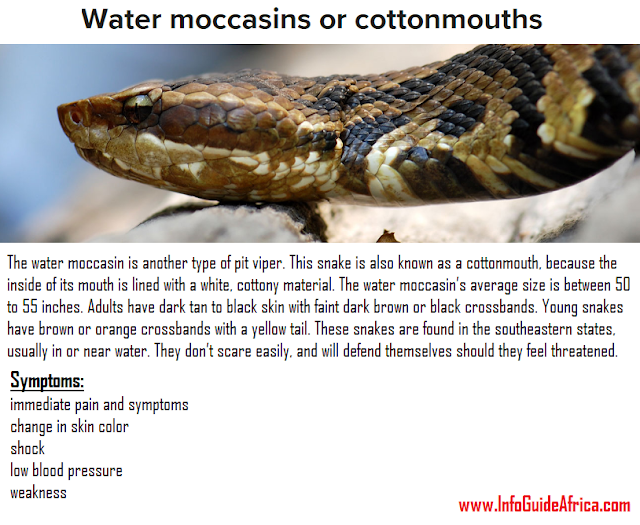 The most effective treatments are the antivenom, and the earlier the administration, the better the effect. How Can I Avoid Snake Bites? To avoid it, you have to avoid cool corners, and long grasses and other places likely enough to shelter them. Keep your environment clean always. Thanks for reading along. Kindly drop your comments below and don't forget to share. Your safety is our concern!